:: 10 REASONS WHY YOU SHOULD VISIT SLOVENIA :: | . m i k s t e j p .
I read somewhere that Slovenia is one of Europe`s hidden gems, which I have to say I totally agree with. If you`ve never been to Slovenia, this post might convince you to go and explore the unknown territory. p.s. I wrote this article for Wannabe Magazine, but it`s written in Serbian language, so I decided to make an English version as well & here it is. Slovenia is positioned in a heart of Europe and that`s what makes it so easy accessible. You can come directly to airport in Ljubljana (the capital), or use nearby airports like Graz, Vienna, Venice, Klagenfurt, Trieste or Zagreb. From there you have quite good train connections, or you can also try to catch a shared ride via Prevoz.org or Go Opti (low cost transfers from airports). The rank of prices can be compared with Portugal/Spain (maybe this changed in the last two years since I traveled there), for ex. Beer = 2€, Coffe = 1,60€/2.50€ (depends where), Pizza = around 8€, Lunch = 5-10-20€, Burek/Kebab = 2/3€, hostel = from 19€ to 32€ and so on...in Ljubljana (the capital) everything is more expensive than other cities, but of course you can find everything, depends of your taste and wishes. Slovenia is bordering with Croatia, Hungary, Austria & Italy which makes it multicultural & multi-lingueal. For sure you`ll be pleased by this information, because that means no stressing out when asking for directions, a good restaurant, a taxi or whatever you will need. Everyone will understand you & you will discover that most of the people speak a solid English. A lot of people speak even more foreign languages, so no worries about that, you might even learn some Slovenian. Slovenia is the only country in Europe that combines the Alps, the Mediterranean, the Pannonian Plain and the Karst. The changing landscape is constantly surprising, time and again. Don`t forget to charge your batteries for the camera + phone & make sure that there is enough space on your memory card, because I`m sure you will max it out pretty quick. The positive thing, that I love about Slovenia is, that at one moment you can have one eye on the sea, than look in the other direction and be overwhelmed by the beauty of high mountains. It`s small but colourful and within 2-3 hours (from the capital) you can get everywhere. TIPS: Because there is no special section about the NIGHT LIFE, I`m suggestion all the folx that are wishing for some party to go to Ljubljana & check out Metelkova – an alternative (kind of unique) place that for sure you will love (google it! ), K4 (club) - has some good parties (electro, d`n`b), Cirkus (popular club right now, with some theme parties going on), you can also find some swing, salsa, whatever you like... this was just a short recap. So let`s start with Winter sports. Slovenia has dozens of well-groomed ski centers with lifts (Kranjska Gora, Rogla, Mariborsko Pohorje, Krvavec,..), where you can try yourself in Skiing, Snowboarding, Cross-country skiing, Skating, Sledging, Ski touring.. Hiking – The choice of trails is remarkable, from easier short walks along the valleys and foothills, to highly challenging protected trails in the high mountains, where you can enjoy views of the Alpine peaks. Slovenia’s Karst is criss-crossed by over eight thousand caves. The most famous one is Postojna Cave – a network of 20 kilometres of passages, galleries and chambers. 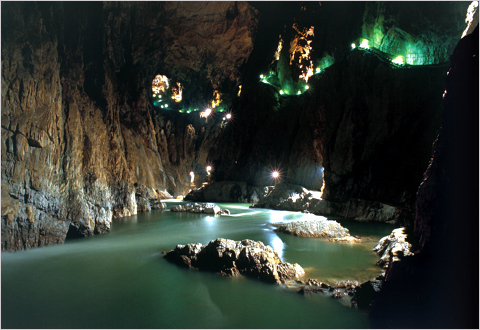 It`s the largest cave in the »classic karst« and the most visited show cave in Europe. Also very known are Škocjan Caves which are listed in the world natural heritage at Unesco & the Križna Cave with it`s underground lakes. An interesting thing to see is also the disappearing Cerknica Lake that is of karst nature and when it is full of water it is also the largest of Slovenia’s natural lakes. So, The Julian Alps..there is so much to say about them, but I`ll make it super short. They are bejewelled by two picturesque lakes. 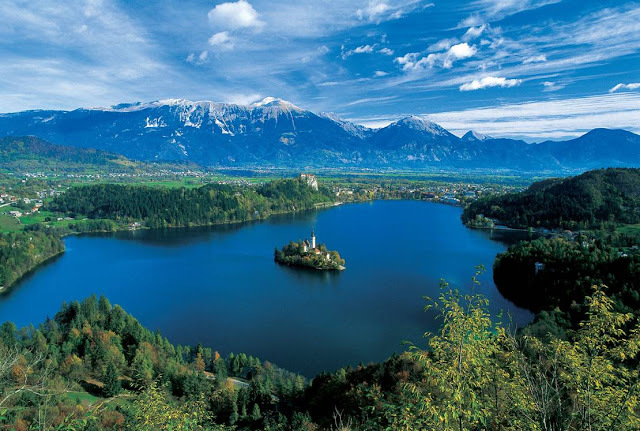 Lake Bled with its legendary Island in the middle of the lake, overlooking castle, hot springs, and beneficial climate (a true beauty) and Lake Bohinj which is the biggest glacial lake and is a major feature of the Triglav National Park. The national park in the area of the Julian Alps in north-western Slovenia gained its name from Slovenia’s highest mountain, Triglav, which stands 2,864 metres high (in clear weather it can be seen from all parts of the country). 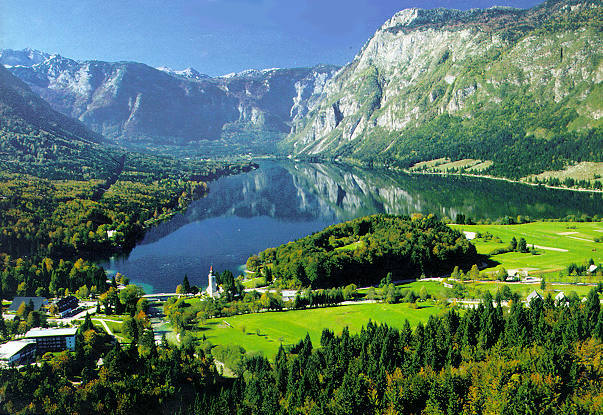 There are also numerous waterfalls, the finest being are Savica and Peričnik. 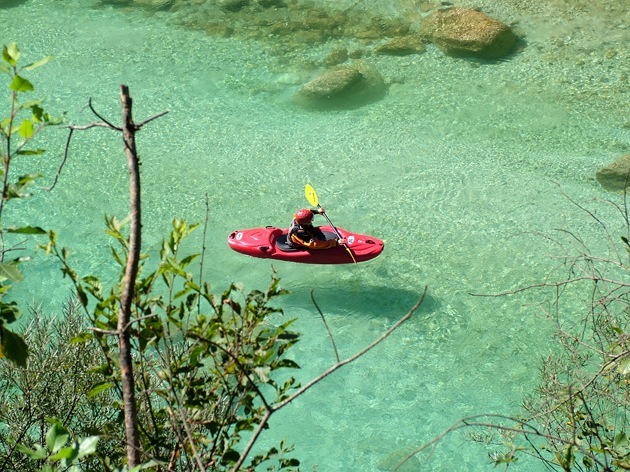 Check also Blejski Vintgar – enchanting Radovna river George, The Tolmin gorges and Soča river. You can find tasty diversity of food, which is a result of a history we have and all the countries that we are bordering with. No matter what, I`m sure you`ll lick your fingers when leaving the table. 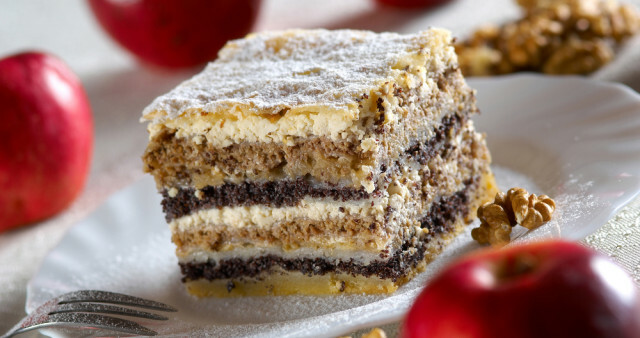 So, I`d suggest you try something typical Slovene, like for example Štruklji, Prekmurska gibanica, Kremna rezina ( you must try that while visiting Bled), Potica (a nut cake), Jota (beans, sauerkraut, bacon, spareribs, potatoes, garlic)...and when in a hurry, you can also find some really delicious fast food like kebab, burek, čevapčiči, falafel,... ok, čevapčiči is a must, also a burek! We have some really good wine, so don`t forget to visit some of the Vineyards (Wine Cellars)! 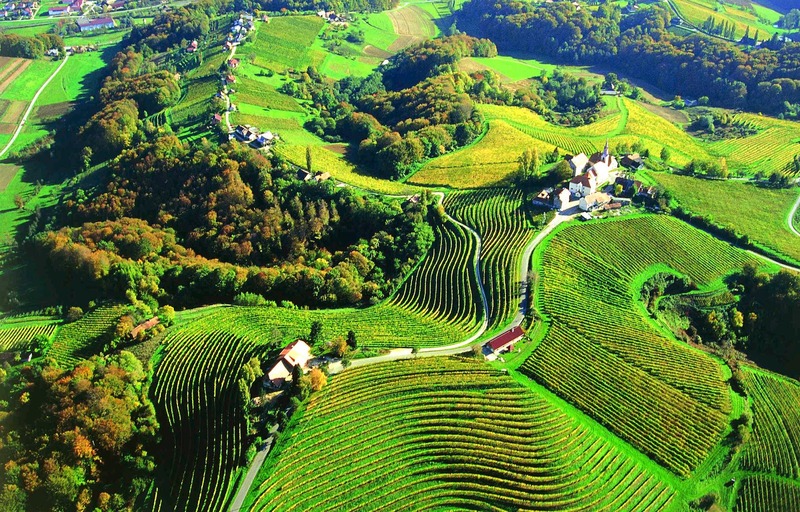 With regard to the climate, soil structire and relief, wine experts consired some Slovenian wine-growing areas to be the best in the world. Slovenia has white and red wines, with lush or slight aromas and strong, full or light tastes. Slovenia primarily produces white wine (around 70%). There are three wine-growing regions (Podravje, Posavje and Karst). If you come to Slovenia in the Fall you might join some grape harvesting, which is a fun thing to do + you can enjoy the wine & good company all day long. + a tip : when you eat out, order a house wine, because usually they are good and not over priced. 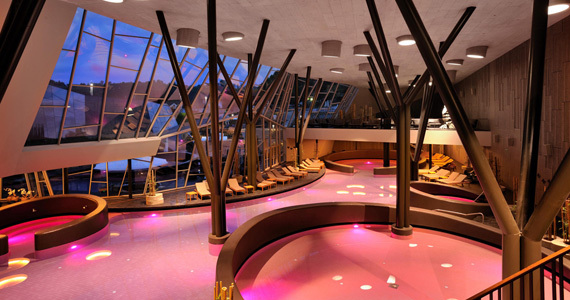 Slovenia has more than 15 natural thermal & climatic health resorts, which are a first class relaxation for the body & soul as well of treatment for various health problems. Fitness & Beauty centers, solariums, Turkish & Finish saunas and whirpool baths are part of the standard offers + various massage techniques (check out for ex. Terme Olivia). Slovenia is a land of numerous small castles. The most famous one are in Ptuj, Podsreda, Ljubljana, Bled, Celje, Velenje & Brežice. So take a chance, pack your bags, book a flight/train and come to this little paradise of ours! we'll be going there in September and I seriously can not WAIT!!! Catita, I`m sure you`ll love it!! If you maybe come to Celje as well, let me know! I wish you a wonferful trip! I am planning to visit this end oct / early nov with my parents as part of a graduation trip :D. Just wondering if the National parks and karst will be open. Also if there is any less expensive hostels available. PS: Your blog is certainly very tempting! About the Karst, you`ll find the information about how they are working here --> http://www.postojnska-jama.eu/en/opening-times/ (this is the most popular one, but check also others, cuz they re pretty nice as well).